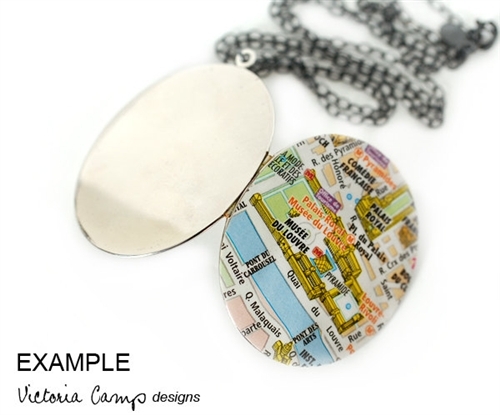 This map necklace features a vintage large silver plated oval locket from the 1970s, of which I will add an original map cutout with the city of your choice to the front. The map is coated with various glazes and sealers to make it water resistant, but it is not considered waterproof. Please do not swim, bathe, etc, while wearing this piece. 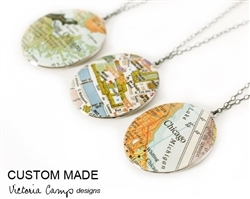 I chose to use these wonderfully larger sized lockets so that they would be big enough to tuck away a little note or photograph on the inside. 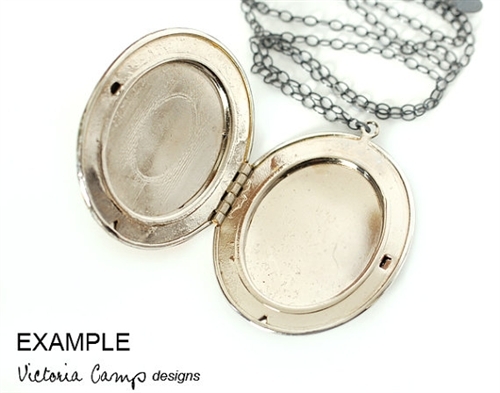 The locket measures 1 3/4-inches tall (4.3cm) by 1 1/2-inches wide (3.75cm) and is made of silver plated brass. Please note that due to it's age, the metal is naturally tarnished in some areas, and will vary from one locket to the next. Please take care when opening/closing the locket. 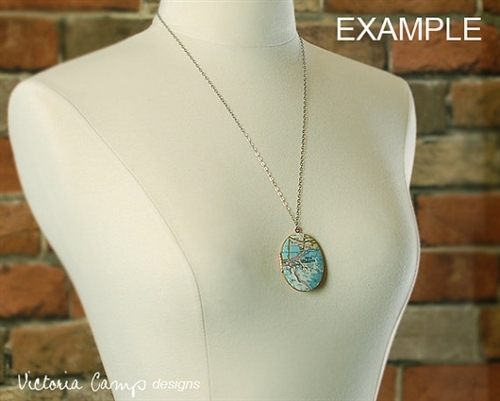 Your locket will hang from a sterling silver chain that finishes with a spring clasp closure. You may choose any chain length up to 24-inches/61cm, in either oxidized sterling silver, or shiny sterling silver.